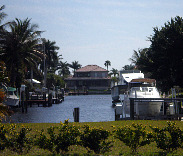 Cape Coral Florida Real Estate has so many things going for it - great deals, great location, and great weather! 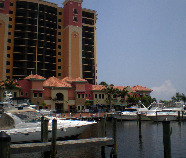 Cape Coral is also known as a golfing, boating, and fishing paradise. Life on the water is more leisurely, healthier, and more fun. There are so many things to do in Southwest Florida, whether you like shopping, sports, art, music, shows, or nature. 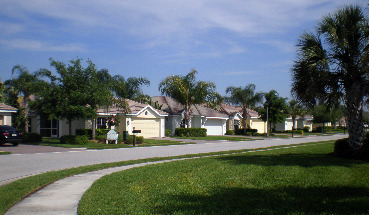 Cape Coral is a great family town, it may have started out as a retirement community. But, that has changed, we now have a younger population than surrounding SW Florida towns. We have the second lowest crime rate in the state, 39 parks, and some of the best schools in the area. We are very close to the world-famous beaches of Sanibel and Captiva, arts and entertainment from local to national bands and shows, interesting wildlife ...... I could go on and on, I love it here! When the bottom fell out of the economy, Cape Coral Florida real estate was one of the areas most affected by the crisis in our country. Now that the economy is rebounding, the deals and steals are mainly gone and prices have gone up, but we still have properties that can be bought at a great price and with great value. We have lots of beautiful neighborhoods, and loads of waterfront and golf course homes, busy downtown areas, all kinds of recreation, and plans to beautify some of the older parts of town. And don't forget about the sunshine! Only half the city is built up, so there are plenty of empty lots, particularly in the northern parts of the Cape, and some people like it that way. The southern part of town is more developed, lots of homes are on canals..... we have 400 miles of canals, more than Venice, Italy! 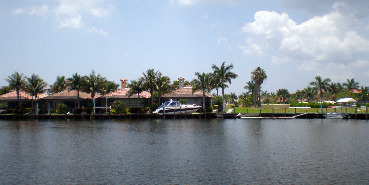 For waterfront homes Cape Coral has many choices: gulf-access canals, interior canals, riverfront, and on lakes. We have a variety of neighborhoods and homes ........... the older neighborhoods - and when I say old, I mean 50 years, the first home was built in 1958 - are charming and have a mix of old and newer homes. There are lovely houses around golf courses, in developments and gated communities. You will just need to come on down and see Cape Coral Florida Real Estate for yourself! Southeast - The oldest section, and when I say old, remember, I mean the 1960's! Close to downtown shopping, Yacht Club Beach, and to Cape Coral Bridge into Ft Myers. Lots of canals and riverfront properties, some cheesy downtown neighborhoods and older homes, but many are getting snapped up and turned into beautiful waterfront residences in desirable locations. Southwest - Considered the most desirable part of the Cape because it has newer homes, yet is close to shopping areas and Cape Harbour, Marina Village, Sandoval. 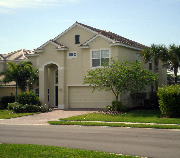 It has many waterfront homes and gorgeous neighborhoods. The SW is convenient to Ft Myers on Midpoint Bridge, shopping on Pine Island Rd, Matlacha's art galleries, and to points north by way of Burnt Store Rd. Northwest - This section is not so built up and many people like it that way. If you like privacy, no special assessments for at least a little while, yet newer homes, then consider the NW. There are plenty of canals and it is convenient to shopping on Pine Island Rd, Matlacha and Coral Oaks Golf Course, Burnt Store Rd which goes north to Punta Gorda and shopping there, such as Fishermens Village. Northeast - Maybe the least desirable section of Cape Coral, especially on the outskirts near North Ft Myers in Gator Circle, and parts that are out in the boonies. This part of town is starting to get more built up with new homes and gated communities in those outer areas, and there are some lovely neighborhoods in the older parts of the SE along with more commercial areas near busy Del Prado Blvd. Start your search in the SW, the section south of Cape Coral Pkwy around Cape Harbour Marina and in the community of Cape Harbour itself, both are really nice. Make sure you also see the neighborhoods over by Surfside Blvd. You may want to avoid neighborhoods around the water treatment plant at SW 20th Ave and SW 32nd St because of odors. Check out gated communities such as Sandoval, Tarpon Point, and then the area around Palmetto Pines Golf Club between Veterans, Trafalgar, Chiquita and Skyline Blvds. After that, look in the NW, to the west of Burnt Store Rd. Most of these areas are near water or canals. Then, consider remodeling an older home in the SE, especially one near the water. Florida is known for problems with sinkholes, that's where the ground suddenly collapses and creates a big hole. Fortunately, Cape Coral is not in areas where sinkholes are prevalent. To check, you'll definitely want to see the Florida Sinkhole Map. Short sales and foreclosures may be best for investors and contractors. Get accounting and legal counsel. Do not buy property sight-unseen, I've heard too many horror stories. Get a reputable and experienced realtor. Speaking of realtors, I was lucky to have the best realtor in Cape Coral! George was on the ball, knowledgeable, personable, honest, and fun (my kids called him Uncle George). He knew what I needed better than I did. You can trust your Cape Coral investments in real estate to George! He guided me through my short sale situation with the home I was renting when I first moved here, and kept directing me to what I actually needed and where I now live, a carriage home in a beautiful gated community. I am forever grateful to him because we love it here and I don't want to live anywhere else in the whole world! If you are relocating or investing, Cape Coral Florida real estate has terrific value, you can't beat the weather, and there are so many fun things to do for families, retirees, and young professionals. Before you buy, go to my Home Tips page to find out tips for the purchase and care of your home. You may also want to go my Hurricane Shutters page, where I talk about the different kinds of shutters and make recommendations, an important thing to know about while living in Cape Coral.